Happy Halloween to all my crafty friends out there! Just thought I'd post this cool and thrifty craft that me and my 4 year old Granddaughter "B" completed the other day for Halloween. It's so easy, yet turns out looking so nice and only costs a few bucks to make! I originally found this idea on a cool blog that I follow called "Mod Podge Rocks" and I "pinned" it to my Pinterest Board so I would be able to find it again later. 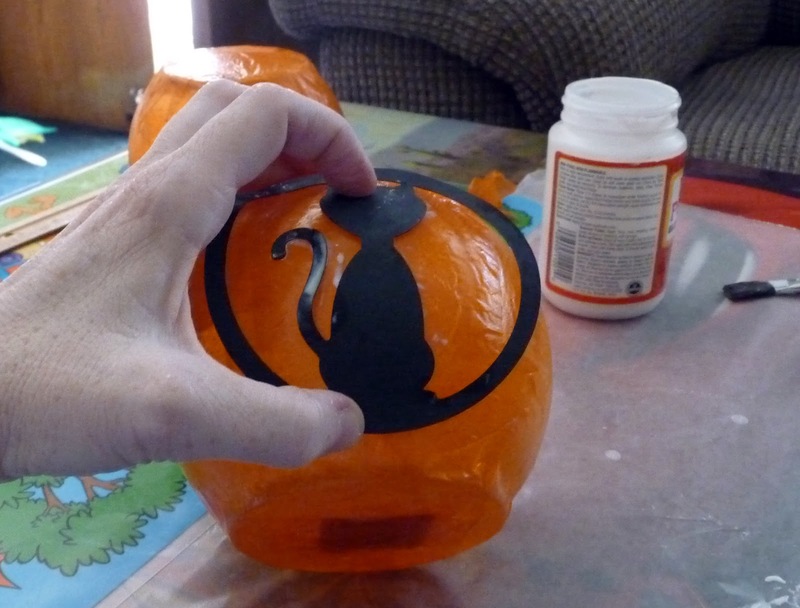 I was glad that I did, because when I decided to try and come up with a fun Halloween activity for my Granddaughter, this one immediately popped in my mind, as funds have been tight lately and I had remembered that this one was cheap to make! I took a quick trip to the dollar store to get the glass votive holders, battery tea lights and Halloween napkins (Total: $4.00 w/o tax!). I had the other supplies needed already on hand. As you can see, my precious Granddaughter was very excited about getting started with our "Crafty" project. She is such a sweetheart and brings me so much joy! I really love that we can share crafting together! I wanted to show a lot of pictures of her doing this with me, so that you all know that this is a craft that can be done with Children with a little supervision. I was pretty impressed at how much of it little "B" was able to handle on her own and she was really in to it! I am going to lightly skim over how we made these, but if you want a better, more complete tutorial check out The "Maiden D'Shade" blog post/tutorial here. We started out by cutting out the strips of orange tissue paper to cover the glass votive holders. This part was a bit tricky at first, because we tried "dipping" the pieces in the MP and placing them, but they tend to tear and come apart that way, so then we decided to just lightly glue them first with a brush...just enough to get them to lie down on the glass and then after they were all on there, we went over the entire thing lightly. We were under a little bit of time constraint, because "B" was making hers for her Mommy for Halloween and we needed to get it done kind of fast. Putting it outside in the sun definitely helped dry it enough to get us to the next step. "B" wanted a cat on her pumpkin, so we got out the Cricut Stuff and she picked out one from the Seasonal "Pumpkin Carving" Cartridge. If you don't have a Cricut or would just prefer to cut out designs for yourself, Better Homes & Gardens has some great Stencils for carving Pumpkins that can also be used for this project, you just have to size them down a bit on your computer before printing them out. Click HERE for the link to the stencils. Sweet "B" has done a lot of "Cricutting" with Grandma, so she can actually operate it with a little help from me. She chose the cat with a circle around it and the Cricut Imagine Machine did the work for us! B's favorite part is "scooping" the finished product off the mat! I sometimes have to help her a little with this part, if the design is particularly intricate, as one slip of the hand and the design can easily be torn! She is getting pretty good at it though...an old pro! The next step was to attach the cut-out to the pumpkin/luminary. By now the first coat of Mod Podge had dried enough to continue. I had to hold it in place for about a minute or two so that it wouldn't slide around when I coated it with the MP. Also, I had to fold and tuck under a tiny bit on each side to make it fit to the round shape. I probably could have cut it smaller and would not have had this problem, but like I noted earlier, we were under time constraint, so I just did what I could do to make it look alright. I did my Pumpkin next and just tried to experiment with something different. I decided to try and cut out a design from a Halloween Napkin. A bit of a warning here...go VERY easy on the Mod Podge with napkins, I was forgetting that they are a bit more delicate than tissue paper and I over-did it and made a crinkly mess out of my ghost! Also, I put the second coat of MP on too early, before it was dry and it made the face part of the ghost too transparent, which I guess would have been fine for a ghost, if the bottom half had matched! I didn't realize this until it had dried completely the second time, so there wasn't much I could do to fix it at that point, but at least I learned something from my experiment! After the luminaries were completely dry, we added one LED Tealight Candle to each. I have to say, my Granddaughter's turned out much better than mine and I am so proud of her! She is pretty excited about her gift for Mommy! We had so much fun making these and I can't wait to make some more next year, or perhaps make some for Christmas! Thank-you all for joining me and sharing in my fun craft time with my precious Granddaughter! We have been so very blessed this year! Earlier this year I posted about the arrival of our two newest Grand Babies and I posted the first layout I did for our Granddaughter "C" who was born in March and I have been working on a layout for our Grandson "A" who arrived one month later in April and I'm proud to say I finally got it done, despite all of the other projects I've been working on lately (crafty & non-crafty!). It's a bit late, seeing that he was born in the spring! I'm not too good on keeping up with my Scrapbooking...I haven't even finished scrapbooks for my children, who are all grown now! I love to do it, it's just I am so darn particular about planning the layout that it takes me forever to actually get it done on paper. 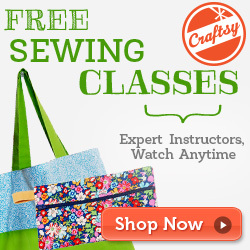 I used a new tool for the first time, the sew easy piercing tool. It was pretty cool and reminded me of those "lacing" cards I had when I was a very small child. I know I am dating myself here...most of my young readers will probably have no idea what I'm talking about. I don't think they make them anymore, at least I haven't seen any in a long time! Anyway...I am getting sidetracked here I know...but doing that little bit of sewing/lacing on this layout really did bring back that memory, so I just had to mention it! I kept this layout fairly simple, because the paper itself was so darn cute and of course the subject (My Awesome Grandson!) was so cute that the page really didn't need a lot of embellishment. so I'm going to include a picture of the pad in case anyone wants to try and find it. It appears to have some of the same pages in it that my pad does, but there is less pages in the Pad (48 vs. the 90 that was in mine), and does not show the exact page that I used for this layout. After I cut out the font/lettering with my Cricut Expression, I decided it needed a little more "oomph" so I inked the edges of the letters with Azure Blue Ink to give the font some depth. It was a little tricky on the inside of the letters, so I used the Loew Cornell Sponge-it Sticks to get the ink in the tiny areas. Recollections Foam Adhesive Squares, 1/4"
It's good to be back to posting more often and I promise I'll try to do it even more now that summer is over and the cozy stay-inside weather is coming around! Keep coming back to visit, I will be having some awesome giveaways soon!! Thought I'd give a little update on my last completed projects. I made a Doll Sleeping Bag for my niece "K" and a Baby Doll blanket for my niece "H" and recently went by to see them with gifts in tow. I think they were pretty happy, which of course made me very happy! They are such sweet and beautiful little girls and I love them so much! If you'd like to see my post about the doll sleeping bag, you can see it here. I have not had a chance yet to make a post about the doll blanket, but when I do, I will update this post with a link. The blanket was partially made with an old shirt of my Hubby's, so it's an "up-cycled" or "re-purposed" project that was pretty easy and fast. I have been trying to do more sewing lately, but I am so critical of my work that sometimes I talk myself out of even starting. I need to change that and just get motivated and SEW! 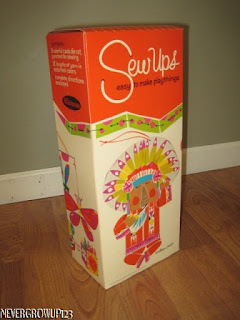 I really love it...and my awesome Hubby just bought me a brand new, fancy-smancy sewing machine, so I need to get busy! Perhaps I will post about that new machine too! Thank-you all for checking in with me and staying around...I will try to be more regular about posting.